Leavenworth Home Inspection: Huge Wasp Nest! 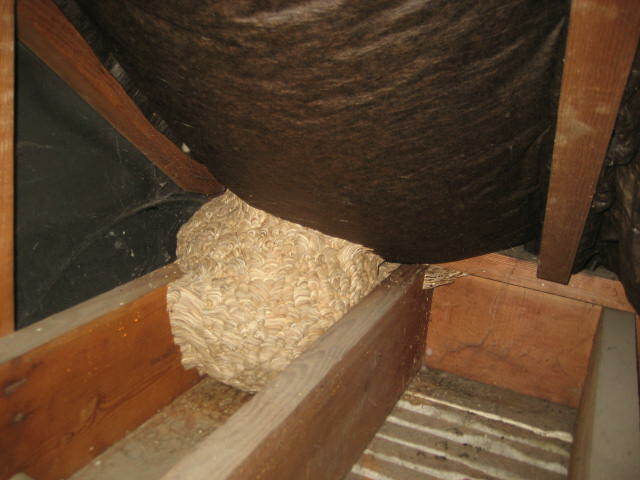 This is just about one of the scariest things a home inspector can find in a small attic…a huge wasp nest! Anyone thinking about booking a home maintenance inspection? Improper aluminum wiring ‘sparks’ interest in a hot water heater repair. How hot is too hot? We recently observed this hot water heater on a Leavenworth home inspection in the upper Wenatchee Valley. Aluminum branch circuit wiring was used to supply the hot water heater’s energy. Improper installation caused a potential dangerous situation. The unions between the aluminum and copper wire created galvanic corrosion which can weaken the terminal at the switch, receptacle or union. As the branch circuit is energized the aluminum and copper wires expand and contract at different rates causing the terminal termination at the switch, receptacle or union to loosen. The loose connections can allow arcing and pitting, creating a hazard for shock or fire, and eventually causing the circuit to fail. To learn more information about aluminum wiring read my earlier blog entry. And the hot water heater was still being used, but not anymore! Based on our inspection they hired a professional electrician to fix the improper installation. Do you want to know how your home is performing? 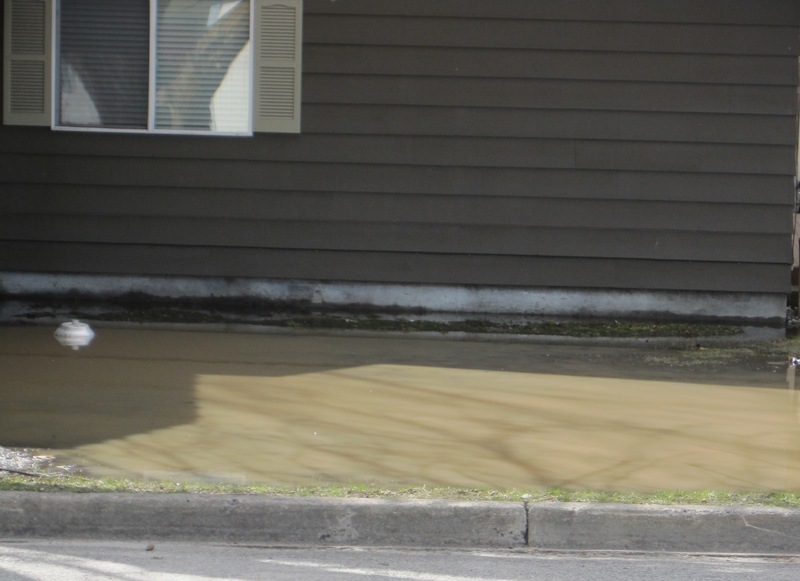 An AMS Home Inspection can indentify potentially dangerous conditions. Call today for more information on home inspections in Leavenworth, Chelan, Seattle, Wenatchee and surrounding areas. Do you have aluminum wiring in your home? Is it safe? At a recent Leavenworth home inspection we noticed aluminum wiring to the water heater and oven. The home owner had some questions so we answered them. Aluminum wiring became a popular alternative for use in residential construction during the 1960’s when the price for copper sky rocketed. Underwriter Laboratories had previously approved aluminum wiring for interior branch circuitry as early as 1945. Contractors searched for relief from the high copper prices and found aluminum to be an acceptable substitute. The key to this conversion from copper to aluminum was in the installation. At the time very little stress was put on the aluminum wiring creep rating (rate of expansion and contraction) and not much information was provided on the proper installation of aluminum wiring. Some things to consider when working with aluminum wiring is that it is much softer than copper and can’t withstand as much stress when pulled. Therefore, aluminum wiring can become damaged if nicked or bent at extreme angles. It also has at least one wire gauge larger than its copper counterpart for each current rating. All terminations such as switches and receptacles must be properly rated Al or Cu/Al for the use of aluminum branch circuitry wiring. Due to limited code enforcement and the lack of information provided to home builders several homes built within the mid 1960-70’s were not outfitted with the proper type of receptacles, switches and other required devices. Oxide inhibitors are successful in sealing out moisture and air while preventing oxidation but, unfortunately, were not widely used at this time. The misunderstanding of aluminum wiring installation methods enabled the theory of aluminum being an unsafe material. What happened? When dissimilar metals come in contact it causes galvanic corrosion and oxidation occurs at the screw head terminals. The process weakens the terminal at the switch or receptacle. As the branch circuit is energized the aluminum and copper wires expand and contract at different rates causing the terminal at the switch or receptacle to loosen. The loose connections can allow arcing and pitting, creating a hazard for shock or fire, and eventually causing the circuit to fail. Is aluminum wiring safe? The surprising answer is yes! We inspect several older homes every year that still contain aluminum branch circuitry wiring and it is in serviceable condition. Aluminum wiring has never been the problem. The installation can dictate the longevity or security of any material. The science behind the reaction and expansion rates of different materials has allowed us to understand mistakes made with aluminum branch circuitry wiring. Aluminum wiring is still commonly used in new construction, particularly on larger circuits that do not require multiple terminations to various devices. Is your home is outfitted with aluminum branch circuitry wiring? Identify your concerns with an AMS Home Inspection. A thorough evaluation of each of the branch circuitry wiring must be performed to ensure your home and family’s safety.